The MCM stainless steel compression tube was designed to ‘compress the top of the steering bracket to the lower engine mount yolk. 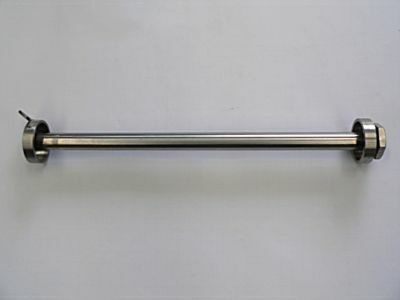 From factory, the galvanized swivel tube is interference fitted to the alloy steering handle, and retained by a single circlip upper and lower. 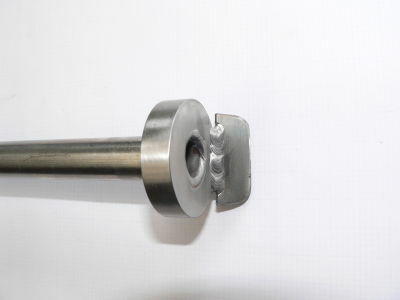 After severe of prolonged use, the factory fitted rubber impregnated engine mounts fail and this then places excessive stress on the swivel tube. Eventually, the swivel tube will loosen to a point where the circlip falls off and steering becomes very loose and difficult to control. To meet these severe surf rescue operating conditions, the stainless steel compression tube is used in conjunction with the solid alloy engine mounts to virtually eliminate failure of the steering bracket. The added advantage is that the motor has no lag or delay in directional steering once the compression tube and solid mounts are fitted. Fitting of these components when the motor is new, will without doubt, save hundreds of dollars, and dramatically reduce downtime of your motors.